Perl programmers increasingly rely on the Web, online help, and other online information sources to cure information pain. 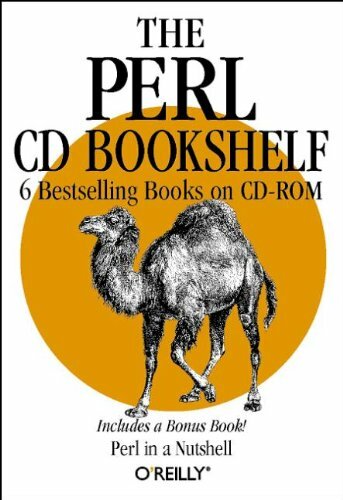 Now O'Reilly's Perl CD Bookshelf gives you convenient online access to your favorite books from your CD-ROM drive.The Perl CD Bookshelf contains a powerhouse of O'Reilly Animal Guides. Included are complete, unabridged versions of Perl in a Nutshell; Programming Perl, 2nd Edition; Perl Cookbook;Advanced Perl Programming; Learning Perl; and Learning Perl on Win32 Systems. As a bonus, the hard-copy version of Perl in a Nutshell is also included.Never has it been easier to learn, or look up, what you need to know online. Formatted in HTML, The Perl CD Bookshelf can be accessed with any Web browser. The books are fully searchable and cross-referenced. In addition to individual indexes for each book, a master index for the entire library is provided. About: Perl programmers increasingly rely on the Web, online help, and other online information sources to cure information pain.